'Shraddha tries hard to rescue the film, but the script totters so badly in the second half that any salvage seems impossible,' says Syed Firdaus Ashraf. Haseena Parkar begins on that note in a courtroom as Haseena begins to tell the court and the audience her story. She is the daughter of Ibrahim Kaskar, a Mumbai police constable. One of ten children. Her large family lives in a 10 by 10 feet room in Temkar street, south Mumbai. She has a brother. His name is Dawood Ibrahim. The first half of the film makes you feel that no Bollywood movie has captured the ambience and ethos of the Temkar street area as well as Haseena has done. Director Apoorva Lakhia has paid minute attention to detail and you are transported into the 1980s when Dawood began his ascent in the Mumbai underworld. Siddhanth Kapoor excels as the young Dawood whose only agenda is to eliminate his gangland rivals and dominate Mumbai's crime landscape. The real find in Haseena is Ankur Bhatia who plays Ibrahim Parkar, Haseena's husband. Clearly, Ankur is an actor to watch. 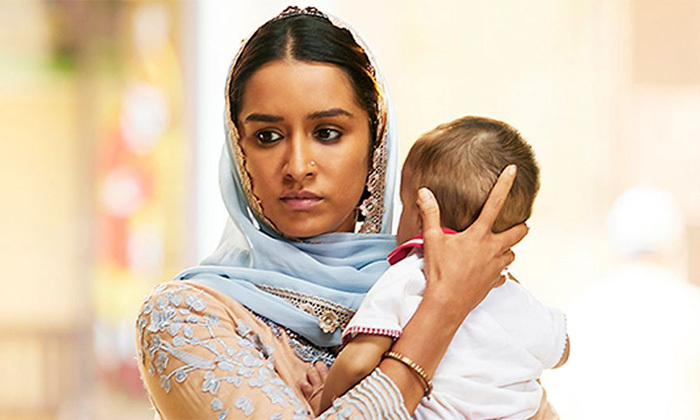 Shraddha Kapoor deglamourises herself to get into character and her sincerity as an actress reflects throughout the movie. For a change, she also does not get wet in the rain like she does in most of her films. By the interval, you feel Haseena is on the right path. It has all the ingredients of a good masala Bollywood movie to make it a blockbuster. As you return to the theatre with this belief post the interval and the film moves on, you start to wonder: Where is this story headed? The director, the script writer, the dialogue writer, even the actors begin to suffer from Lima Syndrome. Lima Syndrome is the phenomenon in which abductors develop sympathy for their captives. In the same way, it appears that everyone working on this movie start sympathising with Haseena, abandoning their objectivity after the interval. Chewing betel nut, Haseena justifies her dubious deeds in court, even defending her brother. She declares that Dawood had no role in the March 12, 1993 serial blasts in Mumbai and that he is no fool to terrorise the city knowing fully well that his sister lived here. 'My brother loves Mumbai and he will never do such a thing!' Haseena exclaims in court. Oh really!!! Haseena also claims that all Dawood is involved in is smuggling gold. No other dirty business for the fugitive gangster. No terrorism. No murders. No extortion. No land grabbing. No peddling narcotics. No printing fake currency. And that is just some of what Dawood is accused of. In one scene, Haseena calls Dawood, who is by then living in Dubai, and asks if his thugs planted the bombs in Mumbai that bleak March day, but her brother disconnects the phone call. Siddhanth -- Shraddha's brother in real life too -- who performs very well in the movie's first half, has little do in the second half. Like the script, his acting too begins to falter. If the screen Dawood is not seen speaking to his sister on the phone, Lakhia has the gangster wallowing in a jacuzzi watching news on television or greeting guests with a firangi girlfriend. One starts wondering: Was this the same actor who you saw in the first half? Shraddha Kapoor does very well to transform herself from a simple housewife to the scary Haseena. She gets her mannerisms right and her acting is commendable, worthy of applause. Shraddha tries hard to rescue the film, but the script totters so badly in the second half that any salvage seems impossible. By the time the credits roll, even the 'judge' in the movie starts suffering from Lima Syndrome. The 'judge' in the film begins to sympathise with Haseena which is ridiculous and you wonder: Why was this film ever made?